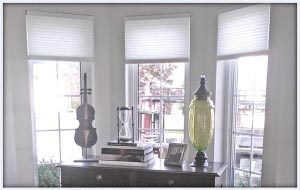 Our window treatment experts in Milton, ON will help you custom design your blinds and shutters to give your home a stylish and aesthetic look. 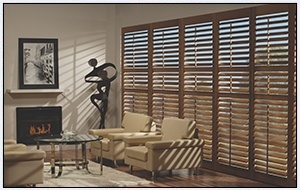 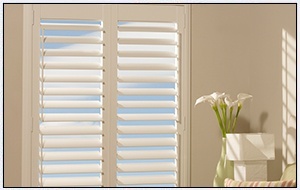 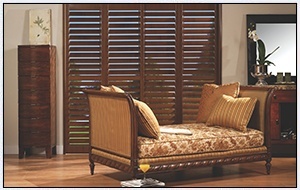 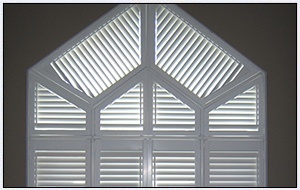 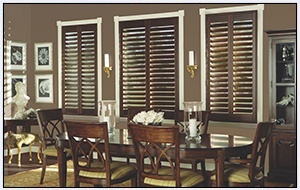 Stylized blinds and shutters are an excellent choice to customize the design of your home or commercial office. 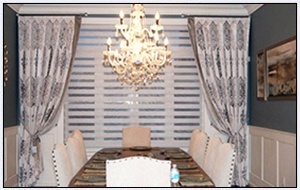 During your consultation, we will collaborate to determine the best product that meets your needs and achieves all government standards for total quality and functionality. 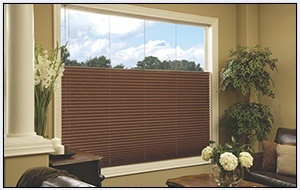 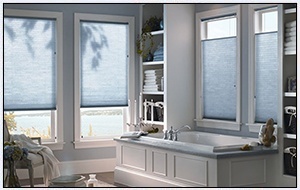 Blackout roller shades are one of the most popular ways to treat a window where blackout is important. 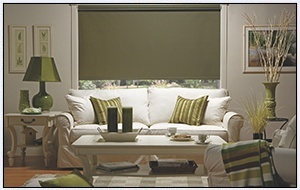 An excellent combination of textures, patterns and colour combinations gently filter incoming light. 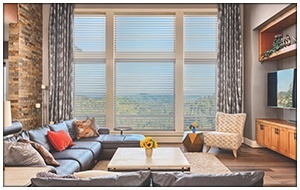 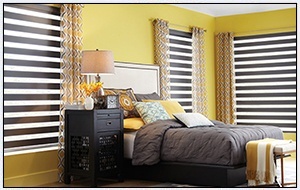 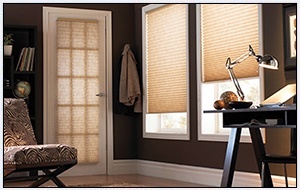 Roller shades are a simple inexpensive sleek way of controlling light. 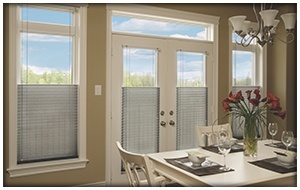 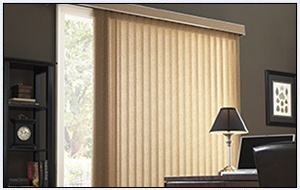 These blinds can be controlled by a beaded chain, or by a cordless touchlift option or by a motorized option for complete hands free operation and convenience. 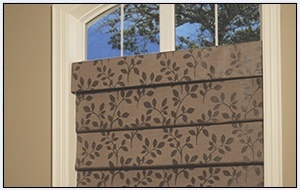 Different cassette options are available to neatly hide the shade when raised. 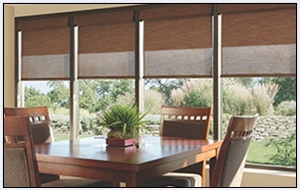 Exterior shades feature corrosion resistant components and exterior grade fabrics that can stand up to the outdoor elements. 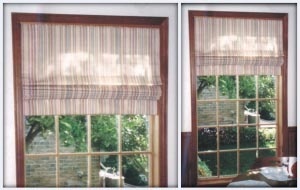 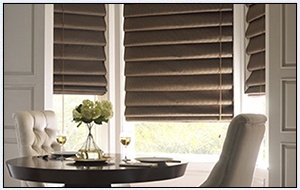 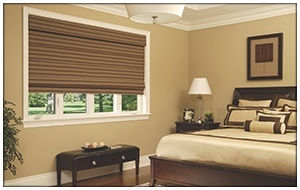 Blackout Roman shades come in two different styles, a flat style and a hobbled style. 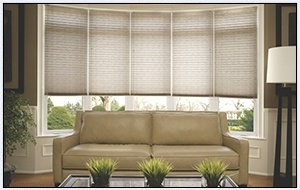 A wide range of fabrics and textures give you many design options. 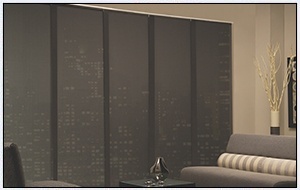 A number of operating systems are available. 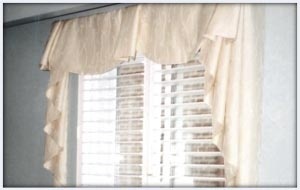 Standard cordlock, top down bottom up as demonstrated in the picture above, cordless manual operation, two on one headrail and motorized. 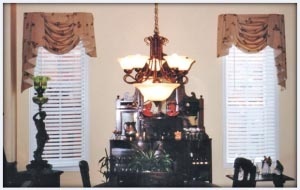 Some roman shades have a fabric valance on top. 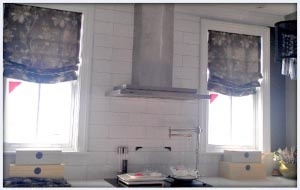 Some are in a cassette. 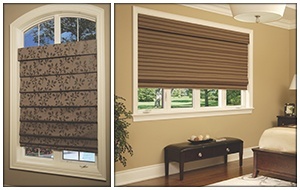 Quite often roman shade fabrics can also be used in roller shades and panel track to coordinate different styles within one open space. 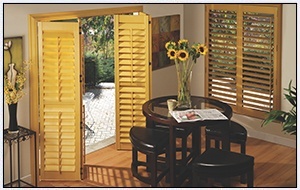 Choose from an impressive variety of shutters and blinds, chain mechanisms, right clutch systems, and more. 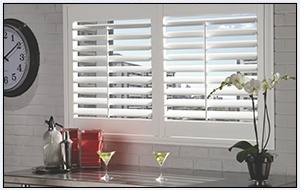 Contact us today to custom design your blinds and shutters, Click HERE. 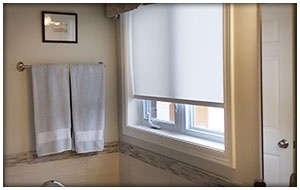 Marilyn's Windows & Interiors provides custom window blinds and shutters across Oakville, Burlington, Mississauga, Georgetown, Milton and surrounding areas.